Sterling Children's Books, 9781454922292, 32pp. 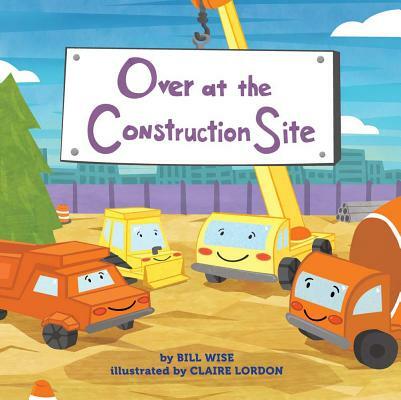 Come to the construction site where there's a whole lot of activity going on With its irresistible rhyme, plus a fun counting element, this picture book will become every truck-loving toddler's favorite. Spend a day with mommy and daddy construction vehicles--bulldozers, front loaders, cement mixers, and more--as they encourage their little ones to push, dig, cut, dump, mix, and tip With its catchy, songlike rhyming text, this fun read-aloud will delight parents and kids alike. At the end, children will love discovering what these hardworking trucks have been busy creating. Bill Wise is the author of the picture book biography Louis Sockalexis, Native American Baseball Pioneer (Lee & Low Books), which was awarded the National Council for Social Studies Carter G. Woodson Elementary Book Award and the International Reading Association Children's Book Award for Primary Nonfiction. Silent Star, the Story ofDeaf Major LeaguerWilliam Hoy (Lee & Low Books), also a picture book biography, was named one of the Best Children's Books of the Year, Outstanding Merit by Bank Street College of Education in 2013. Bill lives in Gorham, ME. Claire Lordon is an illustrator and designer living in Brooklyn, NY. She creates children's books, surface designs, murals, and greeting cards for a number of companies. Her debut picture book, which she also wrote, is called Lorenzo the Pizza-Loving Lobster (little bee books). She is a member of the Society of Children's Book Writers and Illustrators (SCBWI), the Children's Book Illustrator Group (CBIG), and 12x12.